Oakville web design all-inclusive service. Are YOU up-to-date? Is YOUR Oakville website up-to-date? A new era of web design is here. 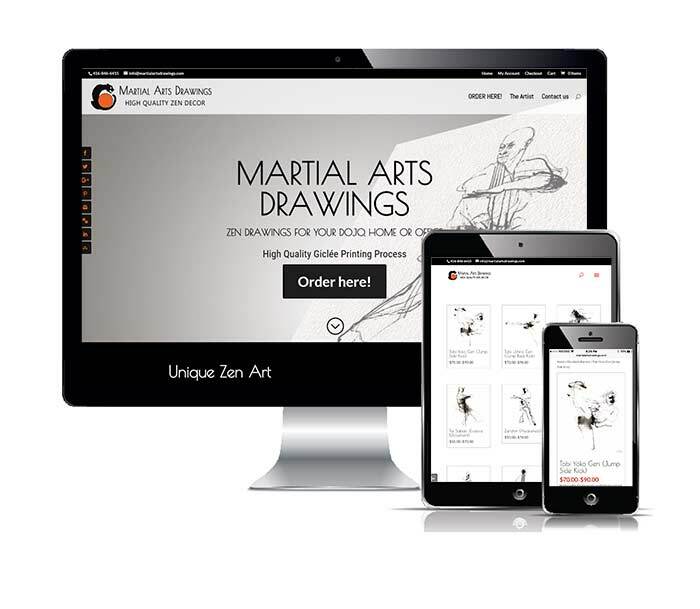 Websites must now conform to modern standards, play well in all device sizes including smartphones and tablets, and load fast. Is your website up-to-speed yet? We build beautiful websites thanks to a modular design that makes customization and maintenance easy. We service the Greater Toronto Area including Oakville, Mississauga, Burlington and beyond. Blending Small Modules Into Big Solutions. All-inclusive Oakville web design service for the ultimate in peace-of-mind. Plan, design, launch, host, email, support – one happy package. Unique and beautiful, SEO-ready, secure, high-performance business websites including e-Commerce that meet your business objectives. Combine our web design service with our Digital Branding services to tie all your marketing efforts cohesively and effectively. Your new website is of no use unless it can be found among a sea of other local websites. We offer real SEO, based on Content Strategies. Everything you need to start conducting business online and make the Internet your Marketplace. Just think of the possibilities! Words and phrases crafted by the professional wordsmith capture prospects and increase business revenue. Refine your web content. NEW! Now servicing the French River Country at Canada’s beautiful North with a local representative. All inclusive service. We are closer than you think! The perfect complement to our web design service with enough power to meet demand and make your website shine! Email is critical for your business. Experience the unparalleled performance of Hosted Microsoft Exchange – A Reliable Solution for Critical Business Communications. No job is small enough for us. Low budget shouldn’t mean low quality. Quick turnaround and affordable pricing. Working with you long after the completion of your website we provide free basic content updates, custom webmaster contracts and more. State-of-the-art, modern, responsive structures, custom designed to perfection. Design, digital marketing, SEO, hosting, Outlook Business Email, support. 1-stop shopping at its best! Rebrand, expand with new features or create a lead funnel, our team is on it. Now, more than ever, your potential customers visit websites on their phones or tablets. If your website is “lost” on those devices you are missing out. Big time. You’ve heard the term by now: SEO. But a website must be redesigned from the ground-up for proper exposure in Search Engines and lead generation. Web development technologies are evolving. Beautiful, eye-catching components are now available. Fast-loading, secure websites are a must. And we have it all.